Jason O Mahony » Blog Archive » Is it time for a new economic model? It is fair to say that we live in a time of great economic turmoil and dissatisfaction, with many of the old accepted truths under question. At the heart of that debate must be the question of the current economic system of the west, and there are many on the left saying this too. However, they tend to propose solutions which have either been tried and failed, or indeed fail to take account of core factors in the human condition. But supposing we were to seek a new economic model. What would be the principles at its core? 1. It is not unreasonable to state that at this stage of human development in the west we can eliminate poverty in a defined sense. We have the wealth to ensure a basic level of income, housing, healthcare and education for all of our people. No one need go hungry nor sleep rough if we as a society decided, assuming that we define poverty in a real material sense, as opposed to the theoretical gap between rich and poor. 2. That must be seperated, however, from our consumerist wants, something we would have great difficulty in accepting. We could fund a right to healthcare, but not the right to an iPad, and spending more money on poverty reduction means less money for disposable consumerism. 3. We must also accept that capitalism, for all its flaws, has still proven to be the most effective way of encouraging innovation and wealth creation. It is no accident that very few of the products produced by genuinely communist countries (China is not one) have survived communism, although I do hear that a stripped out Trabant makes a fine micro-glass house for an allotment. 4. If we are to fund a poverty free society, we must recognise that wealth production requires that the overwhelming majority of the adult populace must contribute. We also have to accept that the idea of people ceasing to be productive potentially from age 50-55 is an arbitrary concept founded on a retirement date decided in the age of Bismarck. It is simply not viable in an age where medical advances (another product of capitalist innovation) makes the idea of living to 100 no longer an outlandish concept. A society cannot have a large proportion of its population expecting to spend nearly half their adult lives being funded by the labours of others whilst they can still contribute to wealth creation. Retirement has to be more fluid and has to take account of increases in life expectancy and the quality of life of older people. 5. If capitalism is to survive, however, it must be with the consent of the great majority. This means that the great majority must feel that it works in the common good. This surely requires that an ordinary 40 hours a week worker has to be able to provide a reasonable life style for that effort. If this means that there must be wealth redistribution from the top, that is the price to be paid. 6. 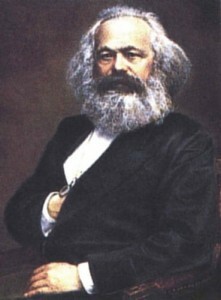 The creation of a permanent economic aristocracy of the mega wealthy is a threat to both democracy and capitalism itself, in that by sucking the finite resource of wealth away from the rest of society it calls into question the ability of capitalism to provide an acceptable living standard to the great majority, which could lead to dissatisfaction and eventual revolution. 7. This does not mean that we should follow the confiscatory policies of the hard left, because they advocate a short term solution which if followed will actually strangle the wealth creating abilities of the west. It should not be forgotten that the Iron Curtain was not built to stop westerners flooding to the communist states. The problem with the hard left is that they believe that wealth is a natural occurring phenomena, whereas capitalism believes, rightly, that wealth is created by the ingenuity of man, and requires that man be free to create and benefit from the fruits of his creation. 8. The key then, must be to balance the freedom to strive and create and benefit from that struggle with a level of regulation of permit the recycling of a proportion of that wealth back into society through redistribution. The question will be how one does that without stifling effort through punitive taxation? Estate Taxes, for example, have proven an effective means of doing so, in that they do not interfere with the wealth creation effort during the life of the creator. This does have to be balanced, on the one hand, with the maintaining of economically viable entities after their creator’s passing and also the very human desire to pass on wealth to one’s family. 9. Finally, a new ecomomic model must recognise that globalisation is a fact, and that the days of national sovreignty leading to control of the economic affairs of a state are now long passed, and that if the west wishes to protect its values, it must be willing to ensure cooperation, integration and common policy amongst its components to a scale unimagined before. It also has to be recognised that for proper free market competition to work, a strong state with an anti-monopoly/cartel regulatory function is vital.